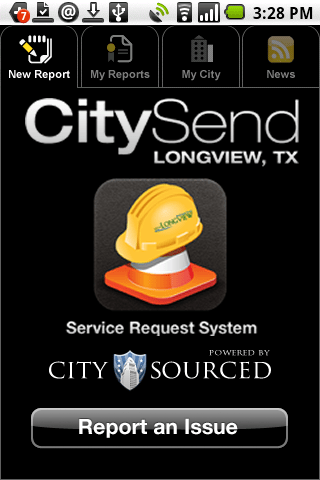 Longview, Texas resident have a map of all the current service requests throughout their city with the CitySend Service Request System from a widget created by CitySourced. Users can hover over any pin on the map to get detailed information about a service request. Gray pins mean the requests have been closed. 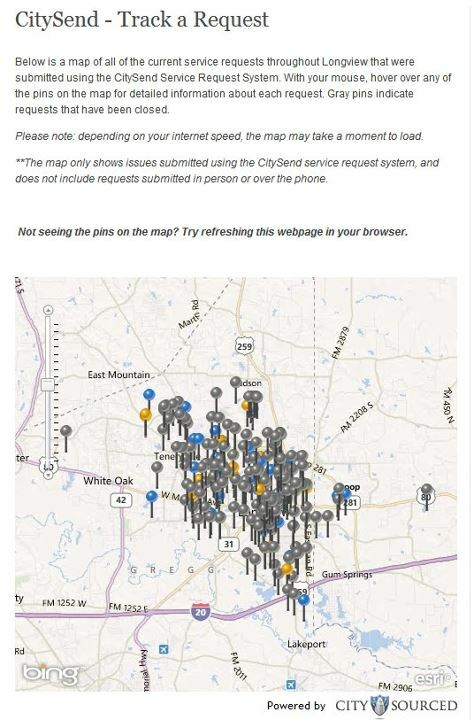 This week, a smartphone app will be made available to the citizens in Longview, Texas, where pictures and video can help the city address issues such as potholes that need repairing. Starting yesterday, citizens could log on to their smartphones, take a photo or video of a pothole or other problem in the city, note location and send it to the city.